My journey started before I became a yoga teacher. 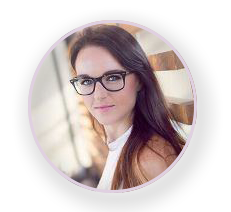 I worked and ran my own business as a beauty therapist and trained in fitness and nutrition. The yogic philosophy has been a part of my life from an early age. After suffering from a serious illness 15 years ago the only way to heal myself was to go back to the yogic teachings and practice. Together with the practice of conscience breathing, meditation and gentle yoga postures I found myself becoming stronger both mentally and physically. In time I healed myself completely. I then completed my two year teacher training in accordance to the teachings of Swami Satyananda Bihar School of Yoga. I instructed at various yoga studios and gyms before I opened Yoga Harmony. The unity of Breath, Asanasa, and Awareness practiced in yoga has a profound effect on the body and mind. This is when healing begins and change starts to happen within the body, the self and the magic of yoga takes place. Gentle, Beginners, Restorative, General and Flow Yoga Classes. 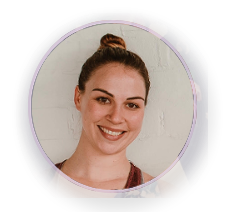 Natasha starting attending yoga classes at the age of seventeen and fell in love with the practice. She completed her two year Satynanda teacher training in 2012. Her style of yoga is Vinyasa with a strong Iyengar influence focusing on alignment. 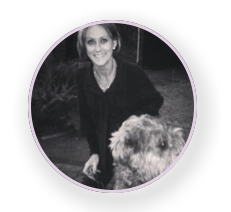 Natasha is also a qualified therapeutic reflexologist, aromatherapist, sports massage therapist and brings awareness to nutrition and a healthy lifestyle. Completed her 2 year Satyananda Teacher Training Course. Gentle, Beginners and General Classes. Completed her 2 year Satyananda Teacher Training Course and has practiced yoga for 29 years. 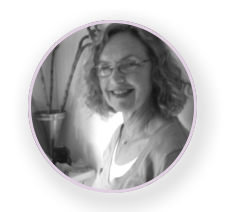 Debbie is also a qualified goldsmith and specializes in symbolic yoga jewelry made to order. Vinyasa Hatha I started practicing Yoga after completing my law degree in an attempt to still my buzzing brain, and I was amazed by the immediate benefits. 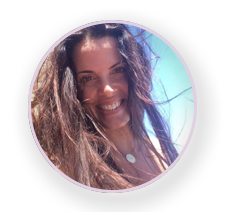 The “obsession” took over and, on a whim, I completed my 200-hour teacher training with EonYoga in 2017. Yoga makes you strong, mentally and physically. My aim is to instill strength in body and mind in students through their practice. 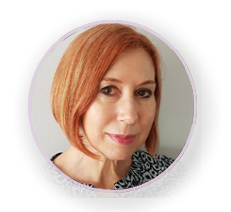 I am an occupational therapist and my specialty areas are adult neurology and community based rehabilitation. I was in teaching for 27 years and enjoyed the academia. I recently completed a two year Satyananda teacher training course and I am now a Yoga teacher and enjoy teaching and combining it in Yoga for stroke survivors. 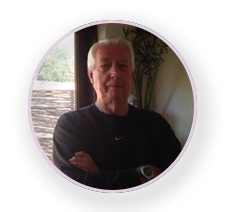 You can also get into contact with me through my website. Trevor is a highly qualified B.K.S. 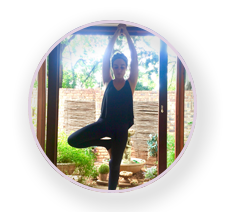 Iyengar Teacher and has attended courses in Malawi, Mauritius, Switzerland and Poorna India. He is a founder member of the South African Ramanani Iyengar Yoga Institute and an accredited B.K.S. Iyengar Teacher. Trevor will offer you a great Yoga experience with emphasis on alignment, posture and Pranayama which assists in developing strength and mobility through Asanas. I have been an avid meditator for years. I can sincerely inform you that meditation offers tremendous benefits to your physical, mental and spiritual health. I can offer you simple meditation that is accessible to all. The meditation I offer is breath-based, and therefore requires no belief in anything or rejection of anything or adherence to any dogma. If you’re breathing, you can be meditating. I invite you to allow me to guide through this wonderful, natural, and gentle process now. I so often hear people say “I can’t meditate, my mind is too busy”, firstly this is not true and secondly, it is extremely ironic, because people with busy minds are the people who stand to gain the MOST from meditation. 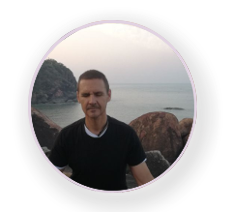 Grant has studied extensively in India he is a 200hr yoga teacher and meditation practitioner. I loved yoga from the first time I set foot on a mat in 2008. My fascination with anatomy and biomechanics on and off the mat inspired me to pursue a career as a physiotherapist. I firmly believe that the more people practice yoga regularly, the fewer patients will need physiotherapy. “Yoga teaches us to cure what need not be endured and endure what cannot be cured.” – B.K.S. Iyengar. I look forward to guide you on your own yoga journey. I teach what I enjoy practising, to strengthen from the outside in with beautiful alignment along the way. South Africa. I continue to learn and grow with my yoga practice and would like to inspire more and more people to learn and grow with yoga. "It's not about being good at something, it's about being good to yourself." My yoga journey starter in 2011, since then I have practiced yoga on and off in conjunction with other sports. Two years ago I realized that it had a significant impact on me, both physically and mentally and wanted to learn more. I finished my 200hr-RYT Certificate through EonYoga in 2017 and my journey has led me to teach different styles and tailor my classes to the attendees. I love practicing a variety of styles, but find myself mostly drawn to Vinyasa Flow classes. I practise yoga because I love the way it makes me feel. As a dancer, I have always been hard on my body. Yoga allows me to be kind to myself. Teaching yoga has given me the beautiful opportunity to share the magic of yoga with others. I completed my 200-hour teacher training with EonYoga. My favourite yoga pose: any pose with a Smile! After many years of attending yoga classes, and having an inquisitive mind with an interest in philosophy, I decided to enrol for a yoga teacher’s training course to deepen my understanding and practice. I completed my comprehensive 200-hour RYS (Bikram, Ashtanga (primary series) and Vinyasa) and subsequently a 50-hour Yin YTT. My interest lies mainly in alignment and precision, and a meditative, transformational and yin practice. For me the balance and harmony obtained through yoga practice (perfect alignment of body, mind and self) is important. 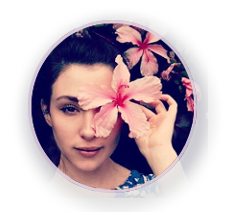 I’m a 200YTT Baptiste Power Vinyasa yoga teacher - I finished my training at the House of Yoga in London towards the end of 2016 and started teaching a week later. Yoga started off as a purely physical practice and evolved to something way bigger. I found that if I stayed aware in my practice, I became more aware of my natural reactions. You can learn so much about yourself on your mat that could help you with handling situations of your mat. I did not only learn to control my body, but my mind and emotions as well. I've never really felt passionate about anything other than my relationships with people. I studied business, worked in corporate and always felt unfulfilled until I did my yoga teacher training course. As a result, I can now envision a future that excites me - I love teaching a powerful flow and am crazy for inversions, and hope to always teach with this passion I feel for yoga. Yoga has been part of my life for almost 15 years. It got me through painful injuries after years as a gymnast and dancer. Now it gets me through life. After years of ‘not feeling ready’ I completed my 200 hour yoga teacher training under Eon Swiegers (E-RYT 500) in 2016. It was the best decision ever. I do not do mediocrity, neither did my teacher. I learnt many valuable lessons, amongst them; that I am a good teacher, but that I will never stop learning. I talk a lot. I laugh a lot. I don’t give up. I’m a kid trapped in an adult’s body. I like music, art and oddness. I am precious about my yoga mat. MY YOGA STYLE • Yoga Practice. Not Yoga perfect. Alignment, safety in postures, and breath connection are my main areas of focus. I offer a variety of Hatha Yoga based on the teachings of BKS Iyengar with strong focus on breath and alignment throughout. My personality lends towards stronger Vinyasa sessions. Most classes are inspired and planned according to a theme e.g. flow, playing with tempo in movement, salutations, backbends, core strength, fascia release or relaxation. I am most comfortable teaching Vinyasa sequences, some Ashtanga postures and indulge in a Yin session every so often. But again: Breath! It is particularly important and pranayama has centre stage in every class I teach. I attended my first yoga class in 2008 and I have never stopped since then. It was like coming home. In yoga I found stillness and balance, and over time, my life was completely transformed. As my love and passion for yoga grew, I realised that I needed to share the wonder of it with others so that they too could experience inner peace and freedom whilst strengthening their bodies and improving their health. So, in 2015, after spending some time in the Sivananda Ashram in the South of India, I completed a 500hr teachers training course in Integral Hatha Yoga with my teacher, Willie Cloete. Integral Yoga is a synthesis of the various branches of yoga and aims to develop every aspect of the individual. It includes practices such as: Hatha Yoga (physical postures, breathing and relaxation techniques); Jana Yoga (knowledge or self-enquiry); Karma Yoga (selfless service); Bhakti Yoga (the yoga of devotion) and Raja Yoga (the science of physical and mental control). To uphold the tradition of my very respected lineage of yoga teachers, drawing back to Swami Sivananda from Rishikesh, I hope to offer students something more than just a physical experience. I often include meditations, chanting, visualisations, and breathing techniques (pranayama) in my classes and always end with long, deep relaxations. I add some flow elements to the asana (physical) practice because of my lifelong connection and love for dance and movement. I have been teaching for 2 years, continuously sowing seeds for change and upliftment. My aim is to help all students to reach their full potential, so they can enjoy lives of good health, abundance and harmony. 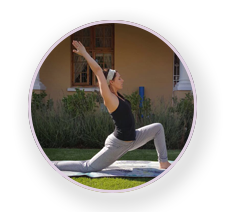 My first experience on the mat was with Hatha Yoga in Vanderbijlpark in 2001, where I lived at the time. I felt at home on the mat straight away. My need to know more about yoga led me to teachers training in 2003, during which I was introduced to Kundalini Yoga. I attended a Kundalini Yoga class and was intrigued by the combination of postures, breath, mantra etc. I loved it from the first class. I continued my Hatha classes in the meantime, completed my Hatha training and started teaching in 2006. In 2007 I embarked on Level One Kundalini Yoga Teachers Training, which I completed a year later. 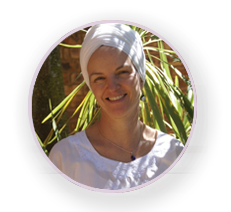 I taught Kundalini Yoga in the Vaal Triangle until 2012, then moved back to Pretoria. I found a small community of Kundalini yogi’s and started teaching in 2013. I have taught at various studio’s since then. I love Kundalini Yoga, for me there is nothing quite like it - the way it facilitates transformation. It’s subtle and yet so strong, it uplifts and support on all levels. 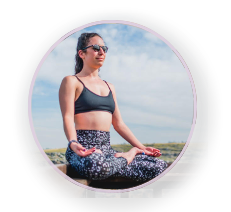 The technology of Kundalini Yoga is designed to reform ourselves gently into an authentic, true shape, by raising our vibrations with asana, pranayama, mudra, bhanda and sound current. Like Yogi Bhajan says “Keep up, and you will be kept up”. Having started yoga to help release stress and muscle tension, I became completely transformed by the mental, physical and spiritual benefits of my practice. Being in the corporate industry I know how little time we have for ourselves and therefor I, through my yoga teaching, want to help my students get to this peaceful place of calm within themselves. Allowing yoga into your life, you truly connect with yourself and your surroundings. From a young age I fell in love with the yoga lifestyle. Yoga has continued to help me find inner peace, self acceptance and love. I completed my 200-hour RYT – registered teacher training in 2016 in multiple yoga styles. Drink water, do yoga, be happy. Namaste. 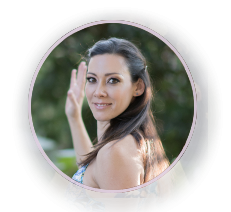 Seeker of self-spiritual evolution through meditation and a believer of body movement as a Divine gift for healing, Tendayi holds 3 years of professional training in Dance with renowned teachers such as Pinto Ferreira and a 200 hour yoga certification through EON Yoga. 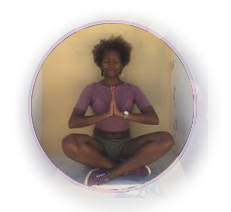 Tendayi has attended meditation workshops with Yoga Connection and Yoga Harmony. 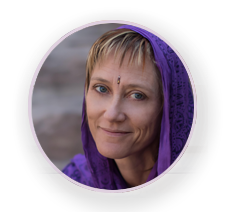 By facilitating the meditation sessions, she offers a space for spiritual growth, well-being and connection with the Higher Self.